Here’s a re-issue that I bought in the early 2000’s from Toys R Us. I never had this one as a kid. 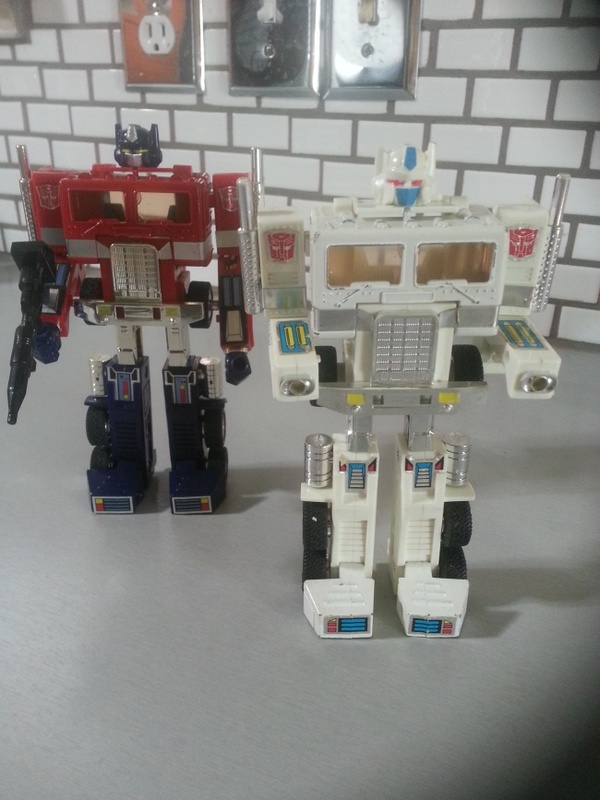 I finally opened him up and took him out so that I could take a picture of him and display him next to his brother, Inferno. 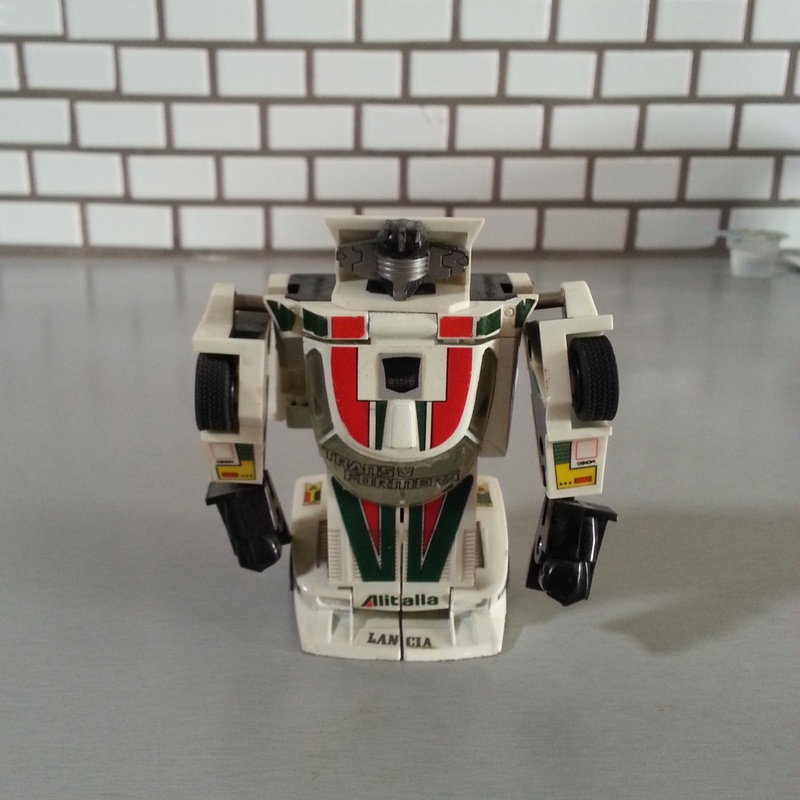 I believe this is one of the original Hasbro Wheeljack purchased either at Service Merchandise or The Treasury in 1984. I have had this one a long time. 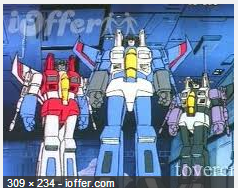 Here’s the three original planes – Thundercracker, Starscream, and Skywarp. 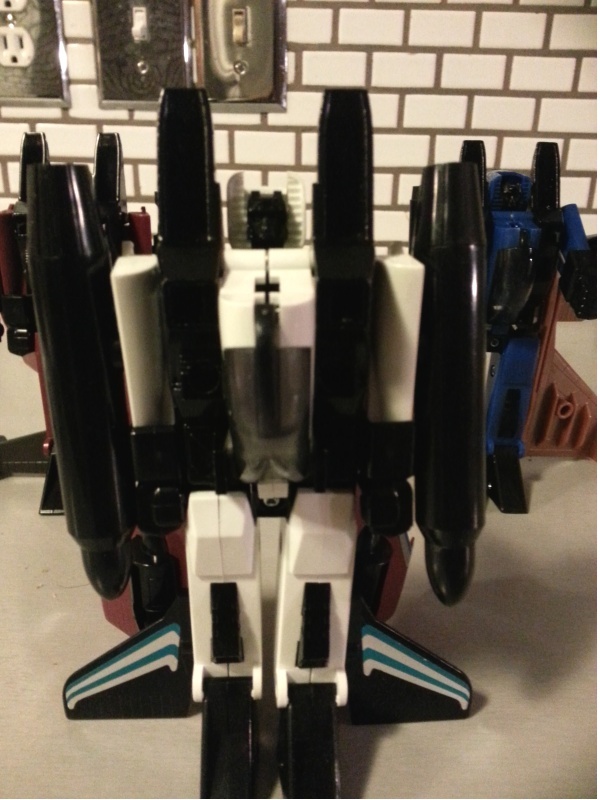 Starscream is a clone that I bought at the fair back in 1985 or so. 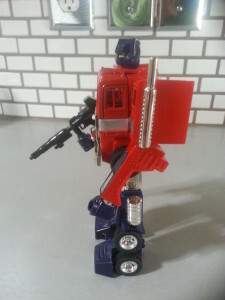 I had some extra Decepticon stickers and slapped it on him. I think this was Taiwan version by Kingdam. 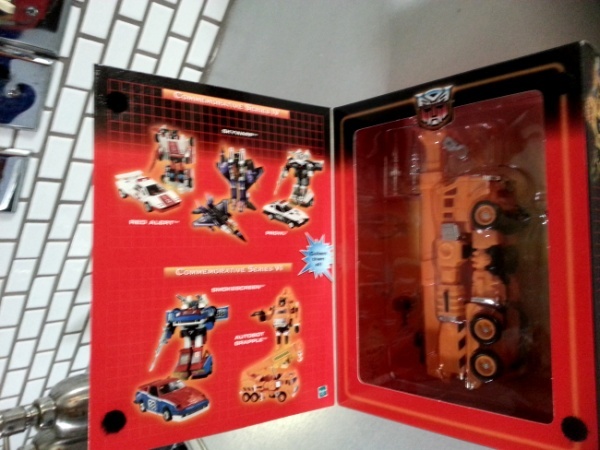 A knock off of the Diaclone version before the Transformers came out. This one is Inferno – a Japanese fire truck. 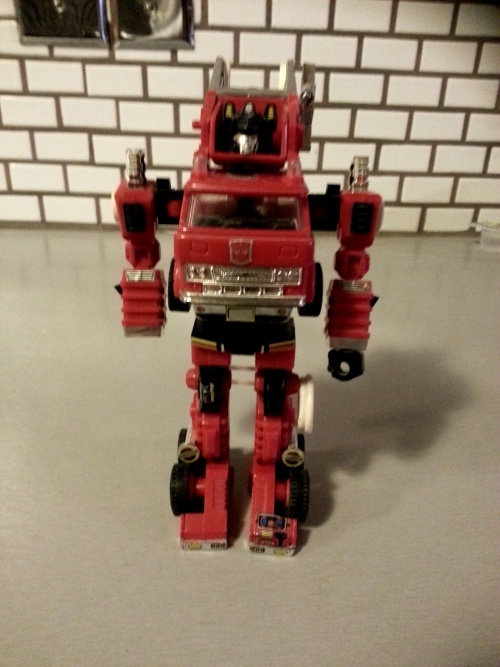 I bought this in Japan during my trip 1985, so this is the Takara Generation 1 version instead of Hasbro like most of my G1 Transformers. I lost one of the fists as it probably shot off somewhere. 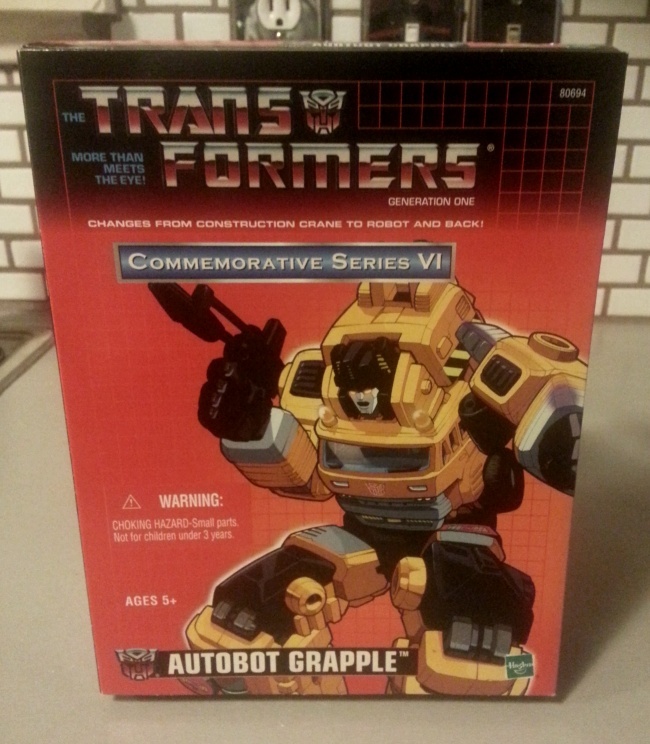 I’ve included a pix of his “brother” – Grapple. 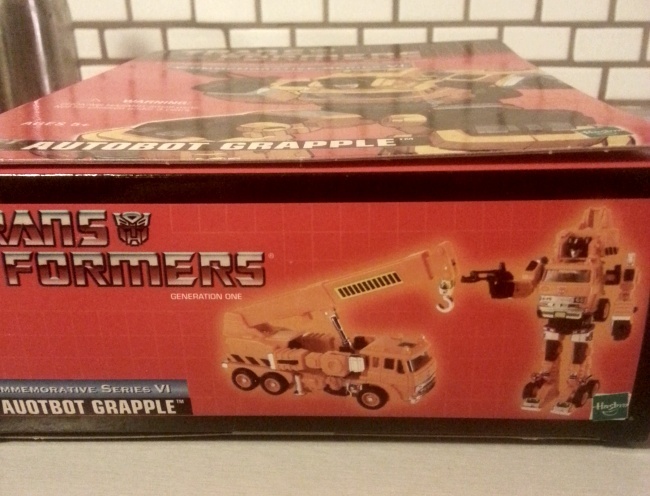 Grapple is a crane and he is a re-issue that I bought in the mid-2000’s. 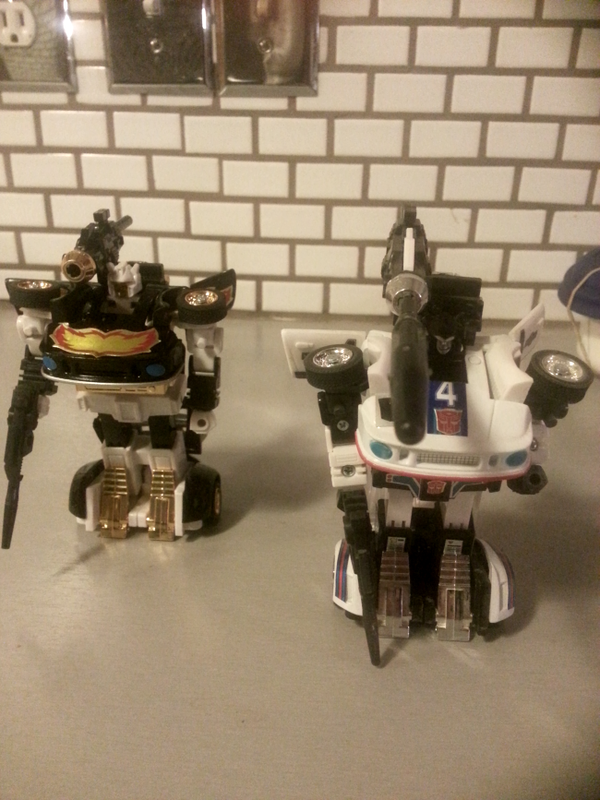 I now have both of the same molds. 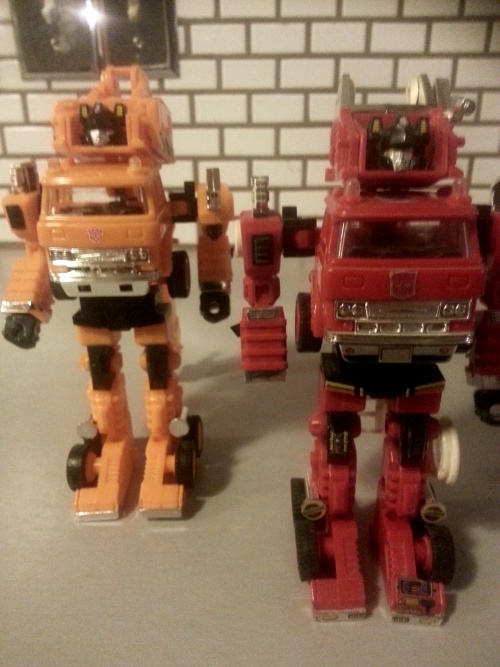 Inferno & Grapple came out in 1984 & 1985 as part of Generation 1 Transformers. 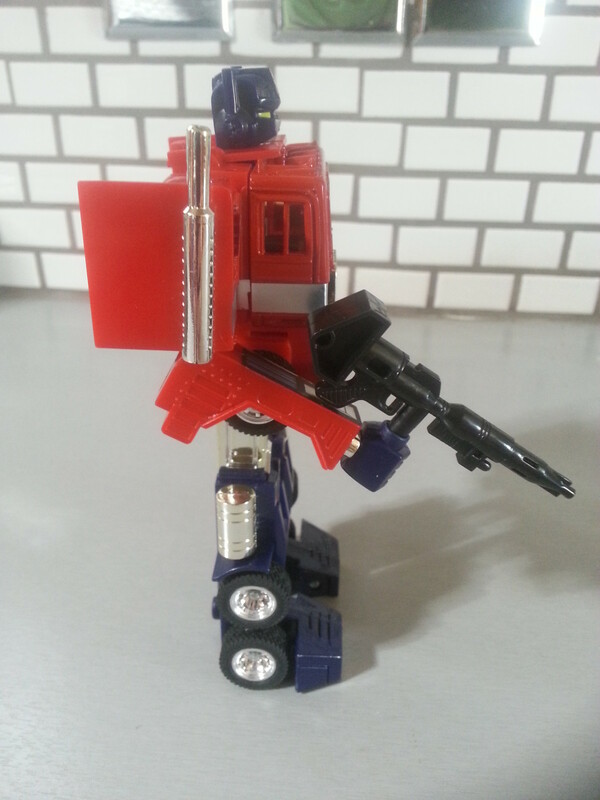 Inferno was retooled to make Grapple. 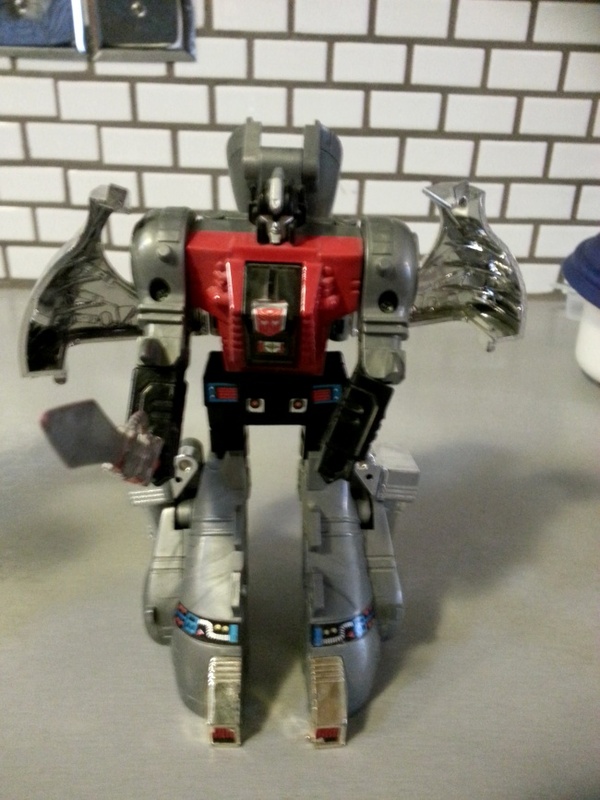 Here’s one of the three Transformers Dinobots purchased in 1984 at the long defunct Service Merchandise catalog showrooms. 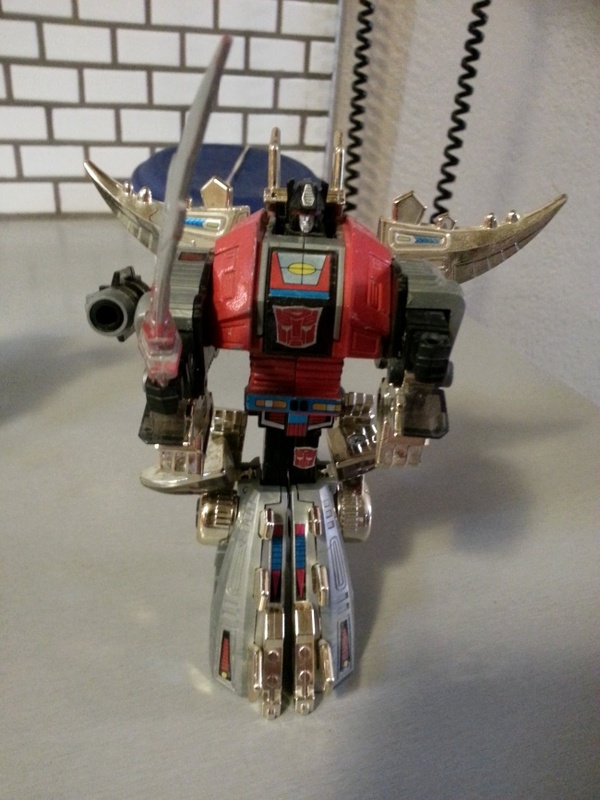 This one is the Generation 1 Dinobot Sludge. 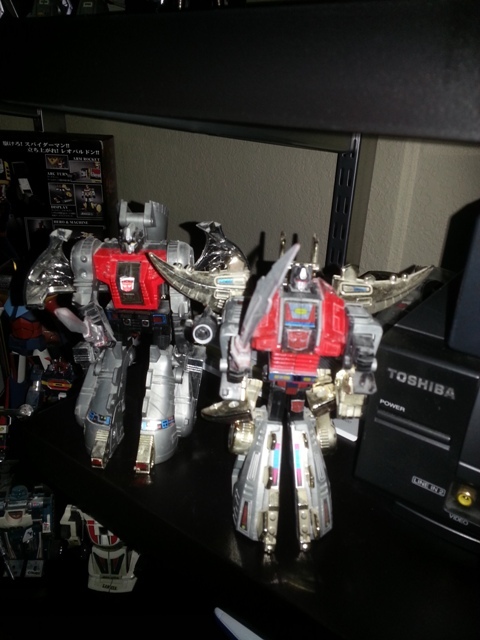 Here is my collection of Dinobots. 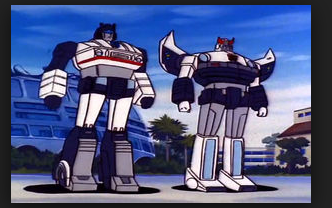 I am only missing Swoop. I am still looking for a good used version of him. Most pieces I have seen have issues, so I still don’t have one yet. 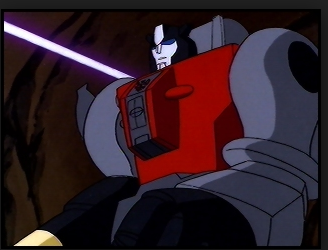 I decided to create separate posts for the Dinobots. 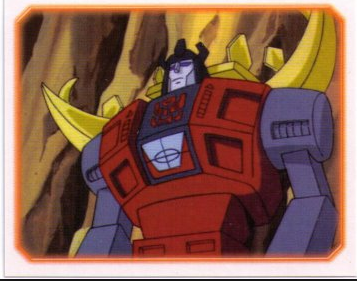 This one is Dinobot Snarl. 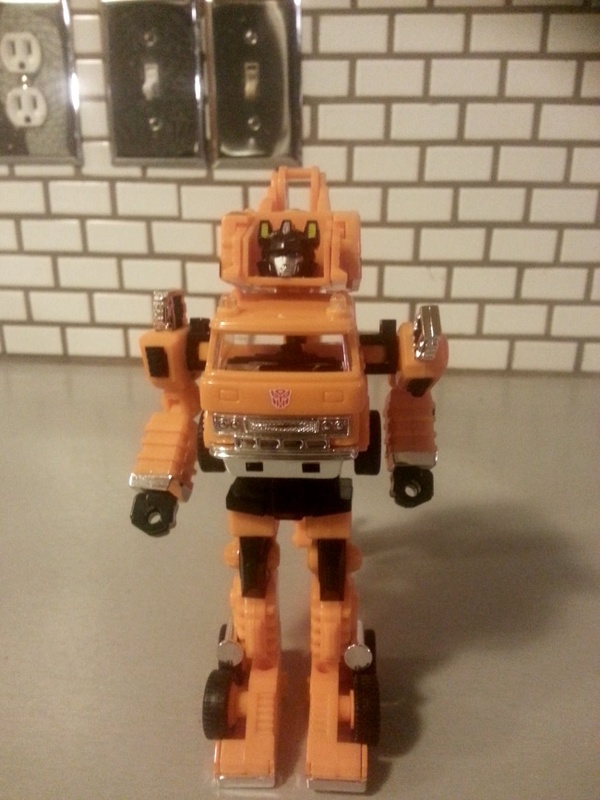 I purchased Snarl in 1984 from Service Merchandise which was a catalog showroom store. Basically, you’d go to the store, look in a catalog and someone would bring out the item to you. I picked up several of my Generation 1 Transformers there. Below is Jazz. I did have the original Generation 1 Jazz back in 1984, but I know I traded a bunch of Transformers away for some of the Godaikins I have now. You can tell this is the 2002 Hasbro Commemorative Series III re-issue because the missile launcher is much larger than the original. 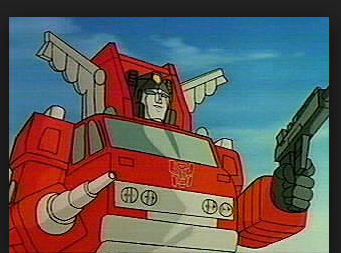 Still, he’s one of my favorite autobots. 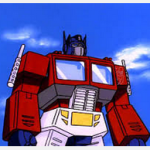 Here’s Optimus Prime! 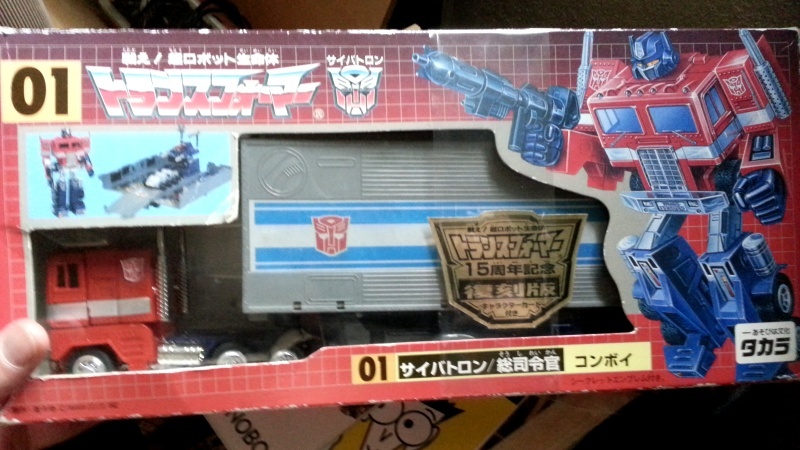 This one is the Convoy 01 Takara 15th Anniversary Edition re-issue. 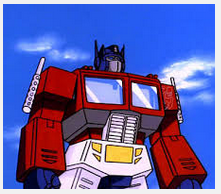 But I never had the original Optimus Prime as a kid. I bought him in Akihabara during my last trip to Japan. 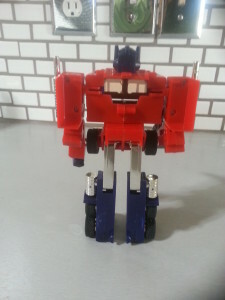 I got him for 40 dollars at Mandarake. Which was a very good deal. I haven’t taken him out of the box but will at some point. 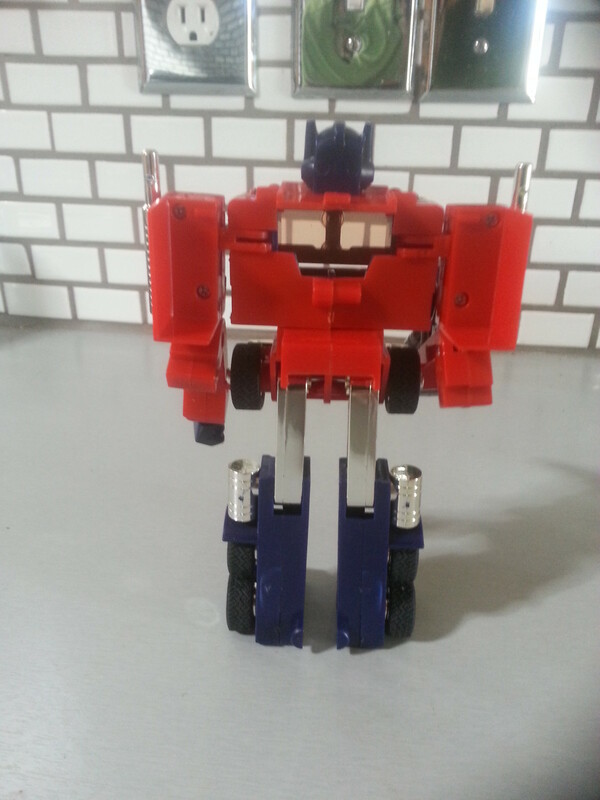 I finally took my 15th Anniversary Edition Optimus Prime out of his box. 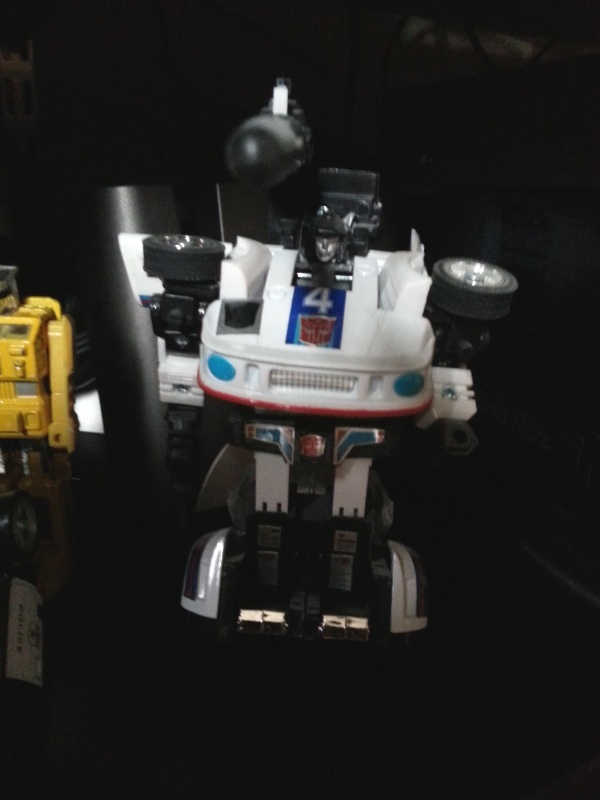 Check him out next to my Ultra Magnus. 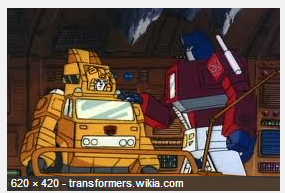 I pretty much have all the Generation 1 Transformers I want. You can see them all on Dave’s Collection page on the link above! Here’s another Alternator. 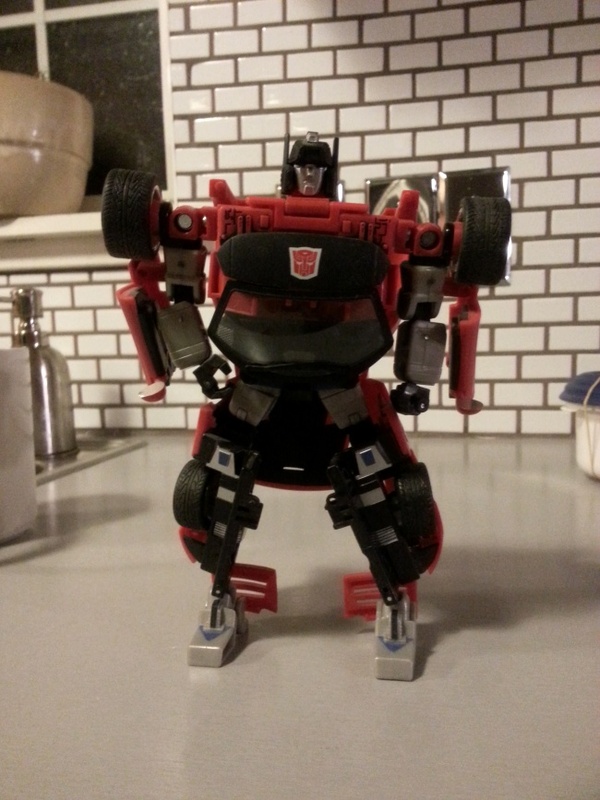 It is Sideswipe that transforms into a Dodge Viper that I purchased back in 2003. I didn’t realize they had such a varied run as I see there’s about 20 different kinds I am seeing on the web. I bought this one at Target probably 2003. I hadn’t really bought any Transformers after the Generation 1 series, but I really liked the way the Alternators transformed. They looked good as a robot and car. 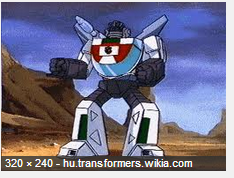 This one is Smokescreen. 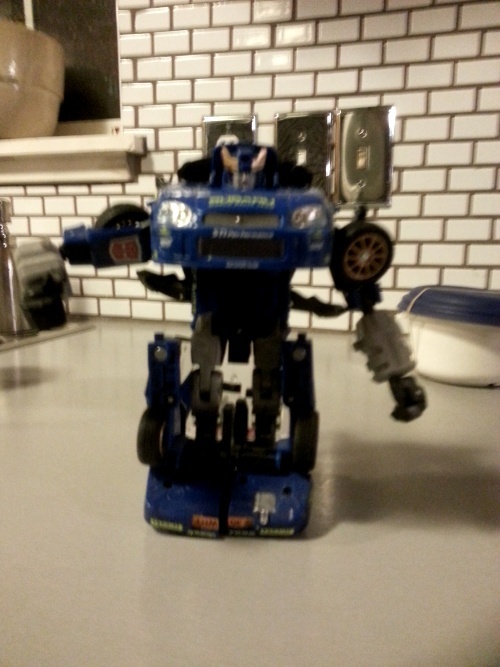 The Alternators transform into current model cars, so this one becomes a Subaru Impreza.